I love this time of year and no matter what is going on in life, there is always so much to be thankful for. I do a lot of celebrating on Thanksgiving weekend (mostly in the form of eating wonderful food) and I have many reasons to celebrate. This weekend we celebrated with a 7 lb chicken that my brother raised. We feasted yesterday and are having leftovers tonight. Very thankful to be able to cook and enjoy such wonderful food. 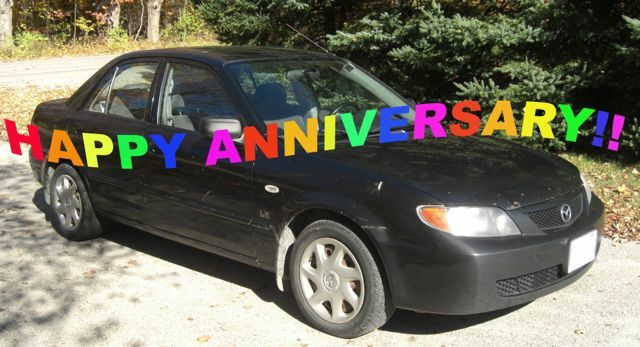 We also celebrated our car-niversary this weekend. We've had our little baby car for four years now. She still gets us where we're going and without too much complaining either. Very thankful she is still going strong. Thanksgiving weekend is also the anniversary of when I met John. So another excuse to have a big dinner and celebrate all we are thankful for. Also a great excuse to bake something. I made some plain butter tarts and we ate them cold from the fridge. 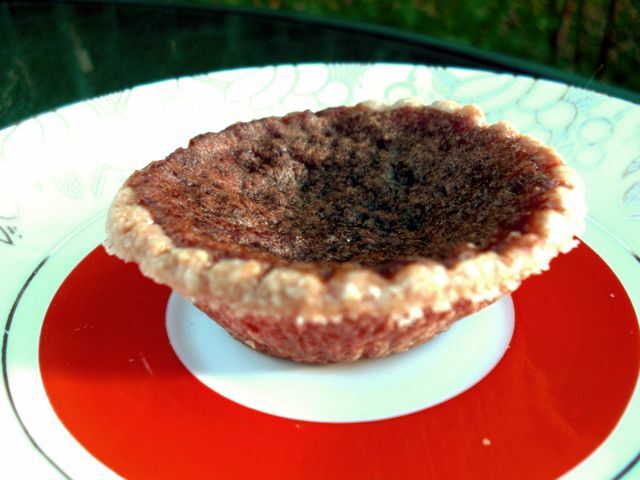 Pecan butter tarts are great, but these plain ones were fantastic. Happy EVERYTHING on your end. Love the raised chicken. So yum. Had Thanksgiving leftovers here as well for lunch though. Supper, not sure yet. Bread is going in the oven but so far, that's all I have on offer. Bread and good butter. Great plate of food too. Love it. Happy Gobble Gobble Day. Happy Smoochy Smoochy (you and John), day, and Happy Car Birthday. I made some rolls to go with the leftovers today. We had a lot of gravy to sop up, so they were perfect hot from the oven. MMMMMmmmmm... I am so full and there is still chicken left. Sammy's for lunch tomorrow. I ended up tossing together a ham, potato, corn and onion cheese dish to go with the bread tonight. Woohoo on your lunch tomorrow. Very cool. Butter tarts are always a welcome treat- admittedly I don't go for the pecan ones, for the simple reason that I don't care for pecans. That is a good reason not to eat them. :) I think I'll make them plain from now on. Really tasty. Happy (very late in the day) Thanksgiving, Jen! It's taken me awhile to make my rounds today, but I'm slowly getting to each blog I want to visit. Sounds like a great time, and a month full of blessings! 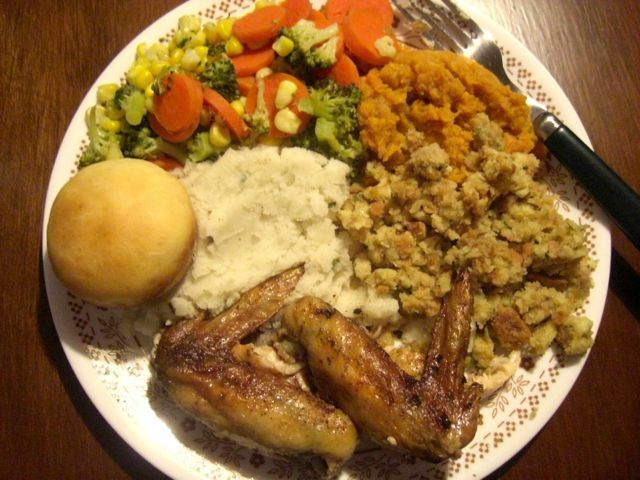 Your dinner looked delicious - my family is apparently anti-vegetable, so our plates weren't nearly as colourful. I love butter tarts! Plain, pecan, raisins, walnuts... and great, now I'm drooling. I love butter tarts too! So good!